Skye Gravestones | Alexander, Kate & Murdo Mackinnon. Alexander, Kate & Murdo Mackinnon. 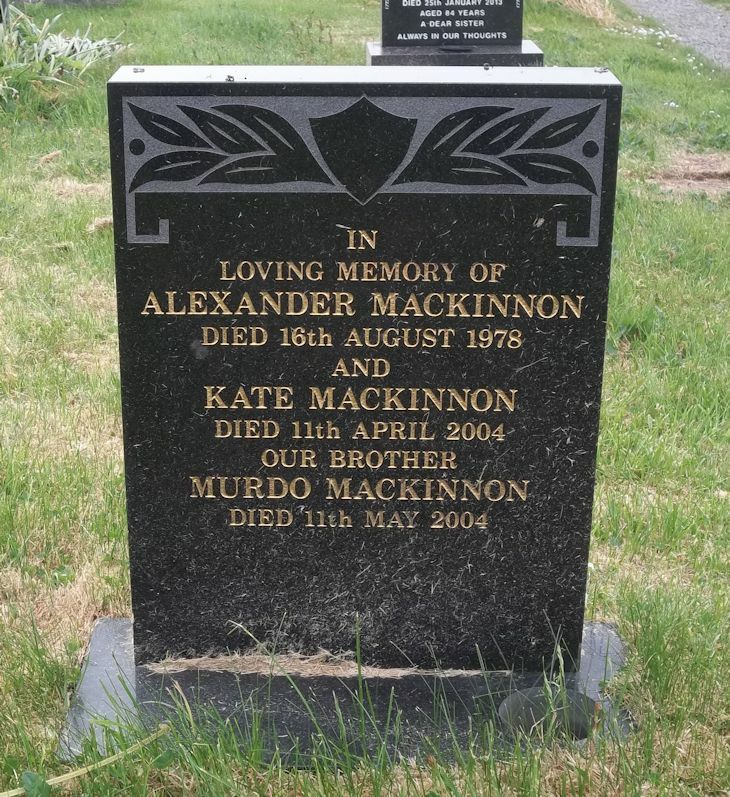 in/loving memory of/ALEXANDER MACKINNON/died 16th August 1978/and/KATE MACKINNON/died 11th April 2004/our brother/MURDO MACKINNON/died 11th May 2004.